A drone strike near the ISIS de facto Syrian capital Raqqa killed a extremist commander heading to Aleppo province on orders from the organization’s chief, a monitoring group said Thursday. His death is the latest in a series of blows to the group in recent weeks, and comes days after Russian-backed Syrian government forces recaptured the ancient city of Palmyra from its grip. 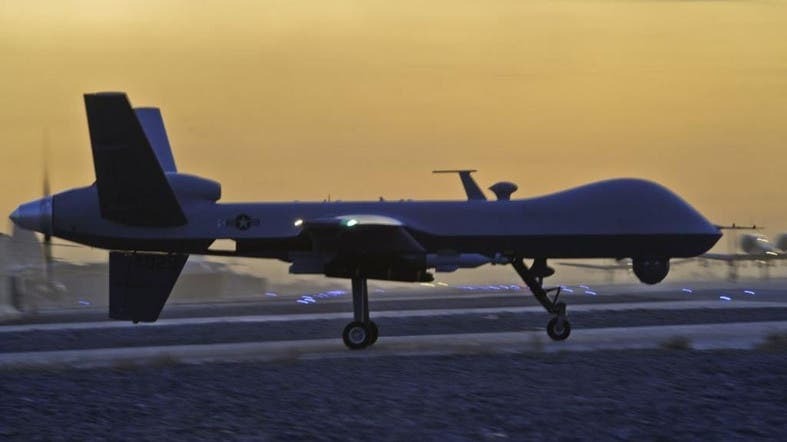 Abu al-Hija, a high-ranking Tunisian ISIS commander, was killed late on Wednesday in a strike by a drone that was “most likely operated by the US-led coalition”, the Syrian Observatory for Human Rights said. He had travelled to Syria from Iraq just 24 hours earlier at the behest of ISIS chief Abu Bakr al-Baghdadi, the Britain-based monitoring group said. Abu al-Hija is the latest senior ISIS member to be killed in recent weeks. Last week, US forces killed ISIS deputy leader Abd ar-Rahman Mustafa al-Qaduli. Earlier this month one of the group’s most notorious commanders, Omar al-Shishani, also died. “ISIS’s leadership is being debilitated,” Observatory director Rami Abdel Rahman told AFP. Abu al-Hija had been ordered by Baghdadi to travel from Iraq to Aleppo province near Turkey’s border, to oversee IS resistance to an offensive by US-backed fighters of the Kurdish-led Syrian Democratic Forces. “The fighting, which has been especially fierce in the past four or five days, could lead to ISIS being expelled from the area and pushed eastwards into Raqa province,” Abdel Rahman said. Assad dials the West from Palmyra: Let’s talk ISIS?